It can be overwhelming to try to declutter your home when you take a large chunk on at once. Rather than attack it full-force, you are probably more prone to put it off. Day after day, the task seems less than inviting. Daunting even. You’re not sure but you think you heard your pile of papers and dust bunnies mocking you. 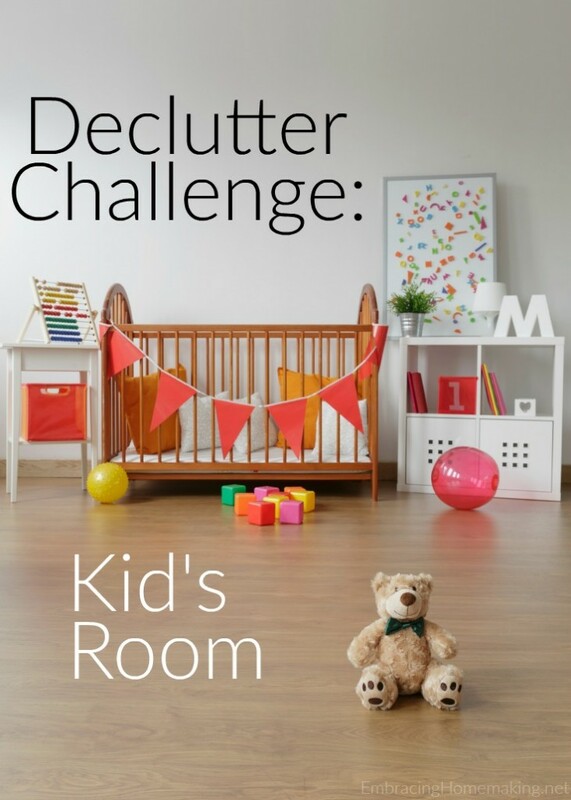 What if you set aside 15 minutes to declutter? Would you be able to approach it then? Try these tips to get yourself closer to a clutter-free home. If you want to take on a closet, for example, you will not be able to get it all done in 15 minutes. Start with a shelf, time yourself for 15 minutes and do a really job purging what you don’t need and re-organizing that particular space. The next day, continue with that shelf if needed or move on to another one. Decide if you want to keep it, re-use it, recycle it or trash it. If you have not used it within the past year, then it is not an item you need to keep. Can it be donated? Is there someone you know who needs it more than you do? Sometimes, by asking these questions, our perspective on the item changes. Everything you are re-organizing needs a home. If you just toss it back on the shelf, it will become chaotic quickly. By having a specific home for each item, you are bound to stick to a more organized space. Use bins, jars, labels and whatever else works to keep your space the way you want it. This will add visual appeal and motivate you to stick to your newly organized space. I like sleep as much as the next guy. Probably more! However if you’re having trouble squeezing 15 minutes a day to declutter wake up a little earlier. 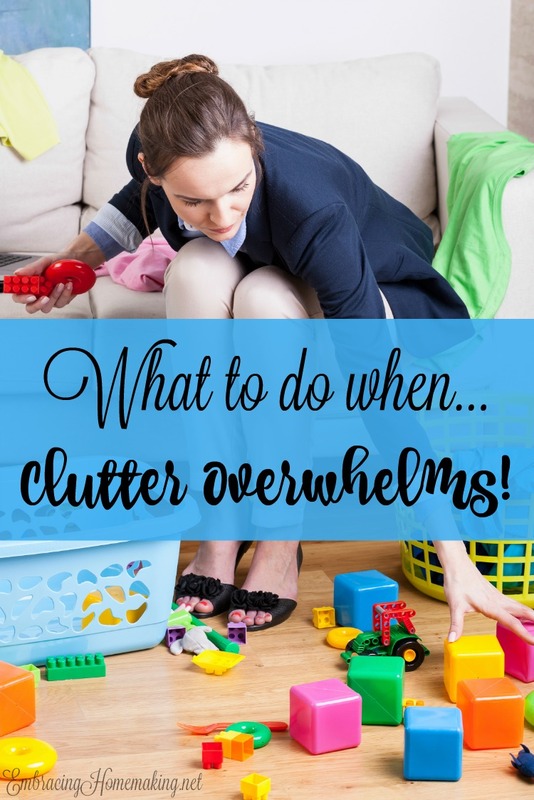 Don’t declutter with your eyes still glued shut but once you’re awake and moving attack a problem area and I bet you’ll have a spring in your step the rest of the day. Can’t chew gum and walk at the same time? Well, this probably isn’t for you. 🙂 The idea is simple, to distract you while you declitter. Hopefully this will help you from overanalyzing everything and make you more efficient. Plus, if you’re talking to a girlfriend she can help give you the nudge you need to let go of some things. 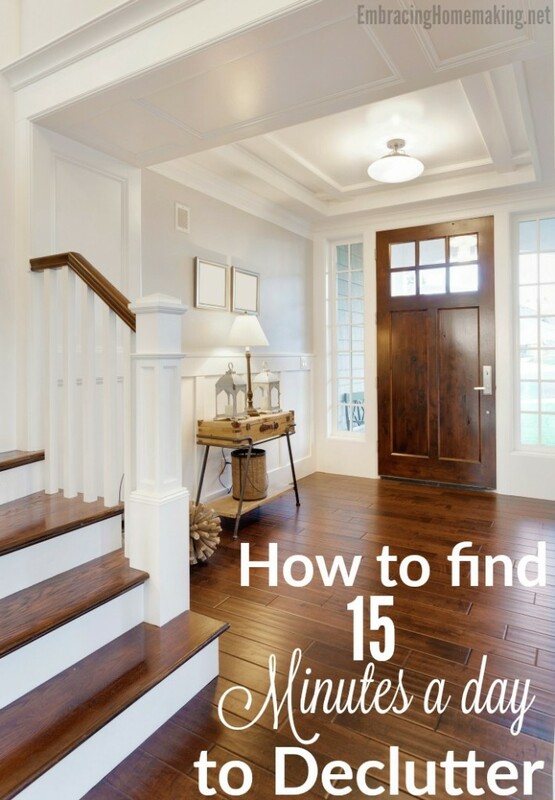 15 minutes a day is all it takes to get yourself started with de-cluttering your living space. That could amount to almost the same time as a Netflix show or a few songs from your favorite playlist. Here’s an example of what your week may look like. Saturday – Rest, catch up, work ahead, whatever you want but make sure you add the photos of the work you’ve accomplished this week to our Live With Less Facebook group. What do you do if you don’t have one of the above sections? Work on the closet for another day or another section of your home (that isn’t one of the 12 Areas we haven’t came to yet). Have fun!! These are the required reading for the 12 Week Declutter Challenge. I hope you’ll find it helpful! 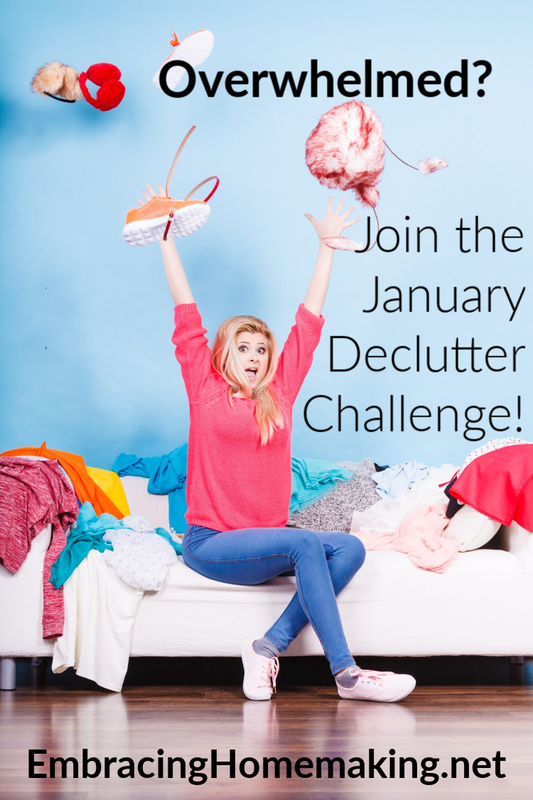 Welcome to the first week of the 12 Week Declutter Challenge! I am thrilled to start this adventure with all of you! Remember this week’s challenge will officially begin on February 21st but feel free to work ahead! For full details on the challenge click the link here. If you’re not already follow me on Facebook, Instagram, Twitter, & Pinterest so you never miss a bit of decluttering/homemaking inspiration! Remember to join this challenge you need to join our Live With Less Facebook group or email me the pictures of your progress. Between you and me, the group is way cooler because it’s full of fabulous people with loads of encouragement! Without further ado, here is the rundown on Week #1! Sunday – Rest, work ahead, add an album in our Live With Less Facebook group for this challenge, whatever you want to do! What if you have an enormous kitchen and only get 2/3 of your cabinets decluttered? That still counts because you got two+ cabinets cleared. Hopefully it will be motivation to clean the rest too but for this challenge you’ve met the requirements. There are ice cream dishes still on the counter from last night. The dishwasher needs emptied so it can be filled with this morning’s cereal bowls. There are two loads of folded laundry on my dresser and a load in the washing machine that has been washed, and re-washed twice since yesterday. The living room is covered with plastic figures and wooden blocks. The kitchen floor is speckled with drops of milk and splashes of juice. Not to mention the crushed goldfish and random Cheerios decorating the floor. The to-do list is longer than I can memorize and I don’t have time to sit down and write it all out. My head is swarming with thoughts that are echoing just a bit louder than the kid’s who are all demanding my attention at once. I retreat to the bathroom to sit and have a moment of quiet. I throw my head back and try to breath deeply, then it happens. I see the vent above my head is covered with heavy dust and I break out into sobs. I’m overtaken by my built up emotions, the clutter, my never ending to-do list, my sweet darling children that I would give my life for, and whew, sometimes I just need to take a moment and remember something. Remember that I have a choice. Remember that I can CHOOSE TO BE THANKFUL or choose to be overwhelmed, stressed, and weighted down. Dirty ice cream dishes mean that we’re blessed enough to have extra money for treats. At one point in my life I didn’t have enough money for three meals a day. The dirty dishwasher means I should be thankful for many things. Food to eat, money to pay the energy bill, running water, and well, a dishwasher. Clean laundry reminds me that I am blessed enough to have family and clothes for them to wear. Not to mention, I don’t have to drag bags of laundry to a laundromat. My dirty kitchen reminds me to be thankful for the little mess-makers I gave birth to. My mental to-do list reminds me that I am thankful for hobbies and opportunities to serve others. Thankful for my life and those in it. Thankful that I can pull myself away from the madness and reorganize my priorities. Thankful that I can do things to make my home a haven. Thankful that I can start. While running and covering my head is tempting, I can choose to dig my heels in and start. For me, starting involves me starting a load of laundry while I take a toy basket and scurry around picking up as many toys that are separated from their homes. I give my kid’s the job of putting away the toys in the basket while I attack the remaining clutter. As counters reappear and the “stuff” is reduced I can breathe easier. Life isn’t perfect and my home will never resemble a showroom but they’re both good. Good again. I’m no longer overwhelmed by the to-do list. The stuff. The urgent. I can enjoy my kids, tackle chores together, and walk around the kitchen barefoot. Sometimes it’s important to just stop, evaluate, and then start. 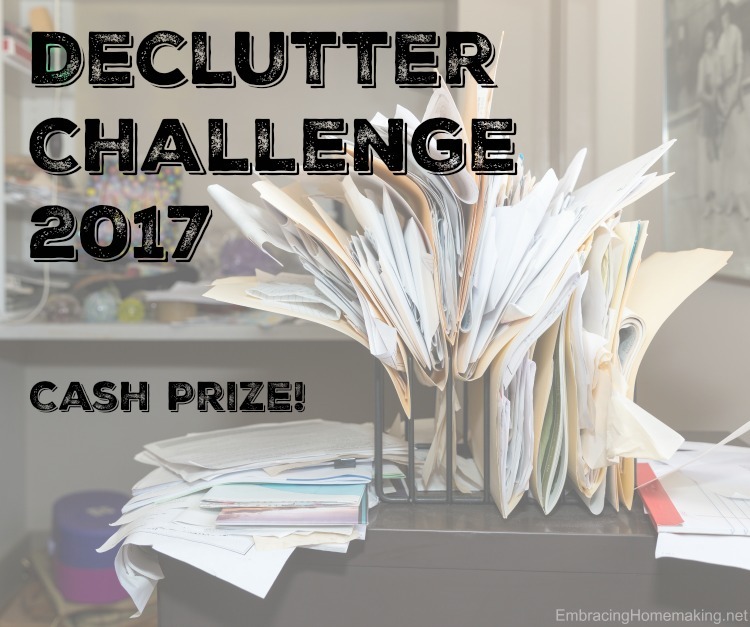 If you’ve ever experienced a similar moment of overwhelm I invite you to join in our 12 Week Declutter Challenge starting tomorrow! You can find all the details here. It’s a lot of fun; I hope you’ll join us! Oh, and there’s a cash prize of $250 too! 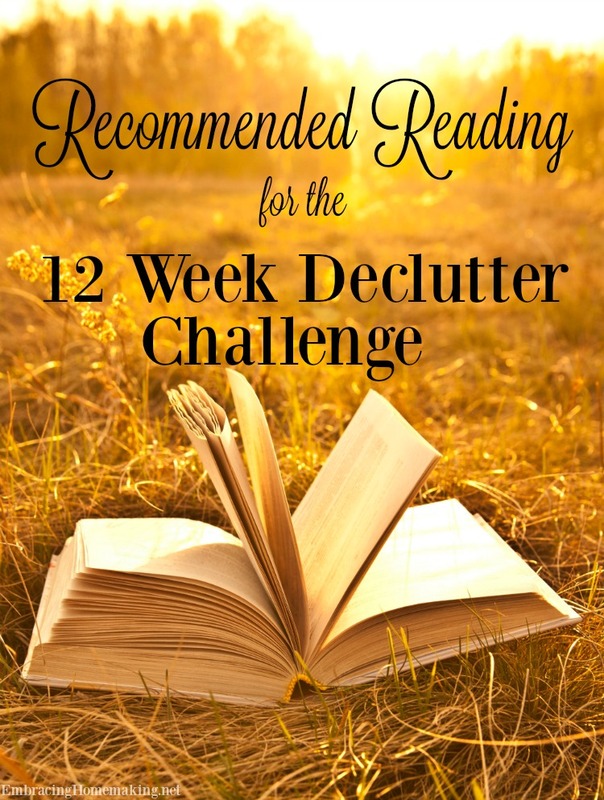 Who’s ready to start a 12- week clutter-busting, hold-no-junk-prisoner, challenge? Challenge, that’s right, this is a challenge and it won’t be easy folks! The January challenge we just finished up had over 200 people starting off and less than 50 finished. Most people dropped off around day 11. 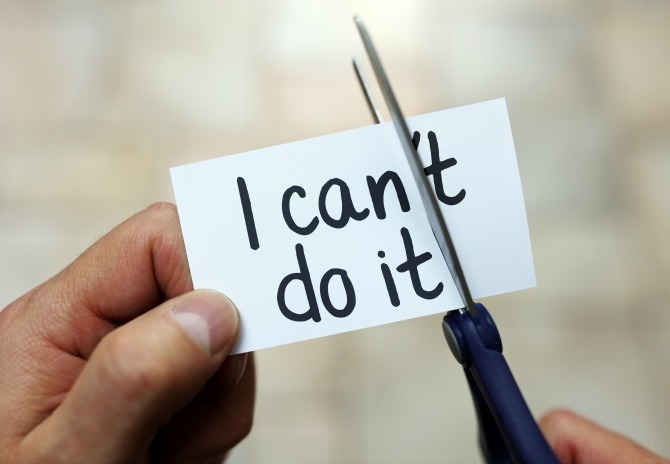 This challenge will be different, however, and will be more of a marathon than a sprint. The goal is a BIG ONE – to declutter and organize your house. Through the course of the next 12 weeks I want you to look at, touch, and analyze every single part of your home. We’ll attack 12 areas of our home, one area a week. Each area will be divided into 5 sections. You’ll have till the next week to finish those 5 sections. Do it all in one day, spread it out, whatever. Photograph your progress, at least one photo of each section is required. Before and after photos and photos of discarded belongings are fun too but not required! Add your photos to our Live With Less Facebook group (more on the how-to of that later). If you run into an section of your home that is already decluttered, great! Take a photo of it to share then feel free to work ahead, find a better way to organize that section, or work on a project you’ve been procrastinating on. Do whatever you like, you’ve got a free pass! Sound easy enough? Great, let me show you the first area that will start on February 21, 2016. Prizes!!! The favorite part is the prize. 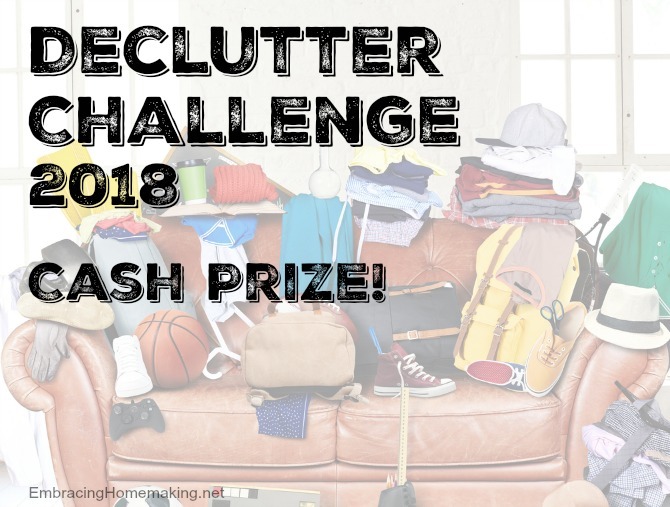 The prize for this challenge will be $250 cash! This will be our biggest cash giveaway to date! If we have a lot of participation we might even have a smaller prize every few weeks. I know I’ll have left something off but let’s start with these Q&As and please feel free to ask questions in our group or in the comments here on the blog if I miss something! – What if I’m planning to be out of town one week? Everyone is allowed to skip an entire week of their choosing. No questions asked. – What if I don’t have two hours to declutter each section? Don’t worry, progress is the goal, not perfection! Even if you only have 15 minutes for some sections, do what you can. If we put off everything till we had enough time to do everything, in the very best possible way, we’d never get anything done. – If I absolutely abhor Facebook can I email you my pictures? Yes, but please put the area you’re submitting in the subject line to help me stay organized. For instance “Area 1 Kitchen.” You can email these to EmbracingHomemaking@gmail.com. You can email these once a week or as you complete them. – When will this challenge start, I just heard about it? The first week of the challenge will run February 21-27th…and with the two days of grace period you can submit all five pictures on February 29th (Leap Day!) and still be qualified. – Will we be taking Easter off? Yes, specific details on that will come later. – What if I don’t have one of the areas or sections listed? It’s completely fine to veer from the recommended path IF you don’t have the area listed. You’re not disqualified in the least. Simply find another area that needs some decluttering love and share pictures of your progress there. – What if more than one person makes it to the end? This would be wonderful and I would choose a winner at random using random.org. – What if no one makes it to the end? Then I’ll keep the money and treat myself to a day at the spa. – 12 areas of our home, one area a week. – You only need to complete 11 of the 12 areas to be entered. – Each area will be divided into 5 sections. I’ll post at least one week ahead of time. – Add photos of decluttered sections to our Live With Less Facebook group.